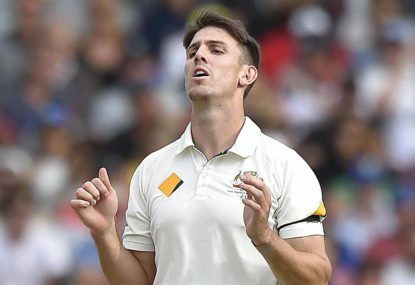 Steve Smith’s decision not to enforce the follow-on in Adelaide is why Mitch Marsh will get a gig in Perth. The Australian captain would’ve loved to have gone for the proverbial jugular and sent England straight back in under lights for their second innings in the second Ashes Test. Why wouldn’t you with a hefty, 215-run lead? Why wouldn’t you when your bowlers are all revved up and you want to rip in again while you’ve got the opposition pinned on the ropes? Crucially, why wouldn’t you when you know that the new pink ball hoops around when the sun goes down and the lights on? C’mon! All the intel was there. A number of state captains had even declared when their team were seven or eight down in day-night Sheffield Shield games just to get the most out of the new pill under the big lights. Why wouldn’t you want Mitchell Starc zipping the ball around at 145km an hour, especially when the wicket had quickened up a touch since the first two days? Because Smith still frets about overloading his quick bowlers, who are assets both highly valuable as well as fragile. Because of twinges, tears, hot spots, sore spots. Because rest for the big quicks and injury-prevention are at the forefront of the skipper’s mind. But, as Jimmy Anderson swung it around to get the Poms back in the game with a sniff, Smith’s mind probably would’ve been made up that he needed some insurance for his fast bowlers. Starc has been troubled by ankle issues over the past two years and had plenty of time off. Josh Hazlewood came home from Bangladesh with a side strain in September. And there’s few body parts that Pat Cummins hasn’t torn, twisted or wrenched over his short career. The freakish, three-pronged pace attack are a big reason why Australia look so formidable at the moment. And a lot of the time on a pitch with a bit of juice, many sides won’t last more than 70-90 overs. But the fear of injury to one of his bruisers hangs like a dark cloud over Smith. So it seems certain he’s going to purchase some Mitch Marsh insurance, which covers high-end assets in the Australian cricket team. It proves how prized the pace trio is to Smith. All he wants is as little as eight to ten overs of medium pace for those innings when Australia are forced to bowl 115-plus overs. Nathan Lyon will usually pick up 35-odd of those, but the skipper doesn’t want three pacemen being called back for their sixth and seventh spells. He wants that fifth bowling option. And Marsh – even though he’s bowled just 22 overs over two recent Shield games – has been making runs. His overs don’t even need to be fast and furious. As long as he gives his strike bowlers a break. Steady the innings. Be economical. As always, it’s about timing too. Glenn Maxwell has been piling on the runs, but of course a medium-pacer is best as that fifth option at the WACA (which, despite the recent pitch reviews, still seems a pretty bouncy wicket to me after watching some of the last Shield match at the ground). And who makes way for Marsh? Probably Peter Handscomb. Anderson made him look ordinary in the second dig, but Smith’s mind might have already been made up about needing another bowler before Handscomb got to the crease. 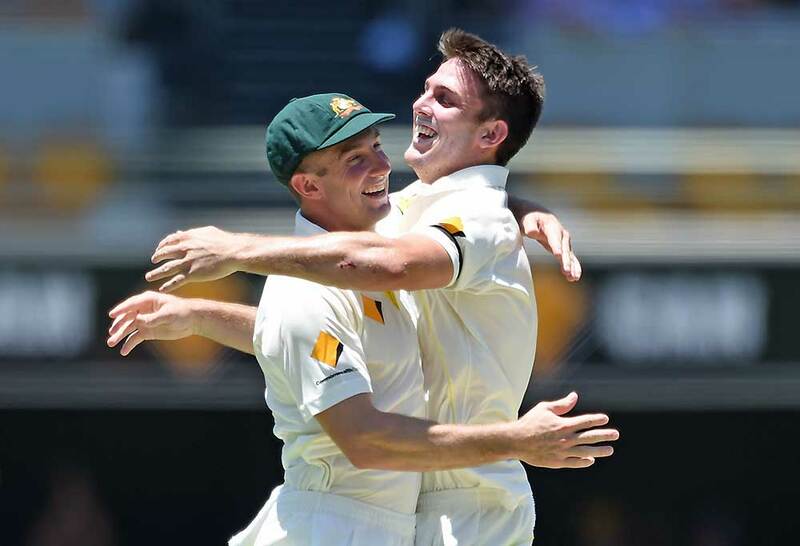 Smith got worked over too, and any regret at not enforcing the follow-on and driving home Australia’s significant advantage was due to his fear of overloading his quicks. Australia’s selectors and Smith, like every other nation, want that all-rounder. They need that all-rounder. No one wants to ditch Project All-Rounder. Ironically, England have one of the best. But he’s in New Zealand.